In the office mail-order business, centered on the “Kaunet” office mail-order business in Japan, the Company has developed diversified businesses such as mail-order businesses for individuals, a wholesale business, electronic purchasing systems, and the operation of information sites and aims at contributing to customers by providing ‘things (mono),’ ‘systems,’ and ‘information.’ In China, the Company has rolled out the ‘Easybuy’ office mail-order business and offers services to many local enterprises in the Shanghai and Beijing regions. In the retail business, the Company operates ‘Actus,’ specializing in furniture, textiles, and general home furnishings mainly imported from Europe. The Kaunet office mail-order business creates services and products that are easy for customers to choose and offers solutions for their everyday inconveniences and problems. In addition, the With Kaunet bulk purchasing system and the Benri Net company-wide online bulk purchasing system contribute to work efficiency and cost reductions for customers. For individuals, we operate the My Kaunet and Kau Mall Internet stores. We sell stationery, office supplies, office equipment, office-automation equipment, school supplies, and office furniture to distribution companies from as many as 800 suppliers. Client companies receive substantial support through our products and logistics function, including delivery to end-users. Based on the concept of ‘gracious living,’ Actus is a lifestyle shop that puts forward original furniture which is particular about design and materials, overseas-brand imported furniture, assorted small articles that adorn living, and miscellaneous fabric items. In addition to presenting interior products through a nationwide network of directly managed stores, a wholesale business, and a business that targets the corporate market, Actus also serves as a base for broadcasting the latest trends. KOKUYO Commerce (Shanghai) Co. Ltd. 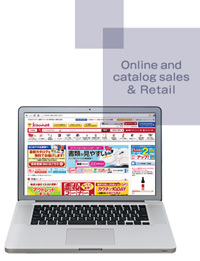 The Easybuy office mail-order business started in October 2006. It delivers not only KOKUYO products and office supplies but also all kinds of items necessary for offices. 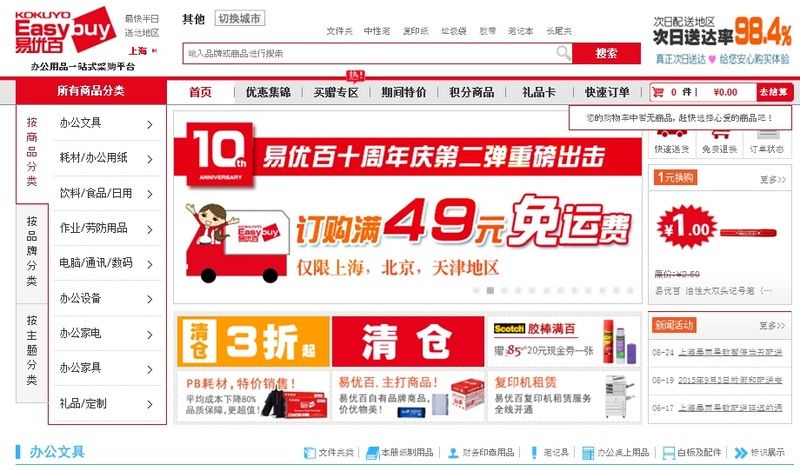 KOKUYO Commerce (Shanghai) Co., Ltd.